HarMan is a direct importer and wholesale distributor of high quality beads, rhinestones and trimmings. In addition we are proudly a Swarovski® Authorized Reseller and an Authorized Distributor of Preciosa Ornela Traditional Czech Glass Beads. We are the only company in the US who is an Authorized Reseller for both of these large manufacturers. 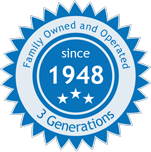 Founded in 1948, we are a third generation family owned business. Lots of Trust and Information: Our long-standing history, as well as the relationships we’ve cultivated with key manufacturers, makes us the perfect partner for your business. Our industry knowledge is unparalleled. We invite your questions! If we don’t know the answer, we will do everything we can to find it for you. About Relationships: We are interested in developing relationships with our customers. By getting to know you personally and understanding your company’s unique needs, HarMan is able to offer the best service possible. This customer-oriented approach is not only what attracts many new customers, but is secret to maintaining those relationships over time. In fact, a majority of our customers have been with us for well over two decades! Top Notch Service: We have knowledgeable and courteous sales staff that helps businesses – both large and small – get what they need. Same Day Shipping: Orders received before 1pm EST are usually shipped the same day (large orders or other exceptions may apply). Price Match Guarantee: Since we buy our products directly from the manufacturer, we have a lot of pricing power, which we use to your advantage. HarMan’s Price Match guarantee is our promise to meet or beat any competitor’s invoiced or advertised price. Big Selection and The Best Quality: We carry the full collection of Swarovski crystals, an unmatched selection of Czech glass beads and many other popular product lines. Since HarMan carries multiple product lines, we are a one-stop shop for Bead Stores and other resellers. In addition to the wide variety of products carried, HarMan also offers partial packages in many different styles. Smaller than the manufacturer’s package size, partial packages are the perfect solution for wholesale accounts that require a wide range of products, rather than a larger quantity of a specific style. We are always seeking out new products that our customers will like. Because we deal with only the best and proven manufacturers, that means high quality products for our customers. Carry a Heavy Inventory: Our warehouse in Farmingdale, New York is well-stocked so that we have what you need when you need it. If, by chance, we don’t have what you are looking for, we will do whatever we can to get it in for your as quickly as possible. We align ourselves with the highest quality manufacturers in the world. As a Swarovski® Authorized Reseller we import the finest quality crystal beads, rhinestones, trimmings and other Swarovski products. We carry Swarovski’s full line of products including: jewelry stones (chatons and fancy stones), rhinestones, sew-on stones, beads, pearls, pendants, buttons, rhinestone banding, rhinestone chain, rhinestone transfers, crystal zippers and much more. As an Authorized Distributor of Preciosa Ornela Traditional Czech Glass Beads we import the finest glass beads made anywhere in the world. We carry an unmatched selection of Czech seed beads including standard seed beads and rocailles, two-cut beads, three-cut beads, charlotte beads, and bugle beads. In addition, we also carry a large selection of other Czech glass beads, including fire polished beads and other faceted beads, as well as druk beads and other smooth (un-faceted) beads. Also from Preciosa Ornela we import a wide selection of lamp beads, otherwise known as handmade beads. We also work very closely with smaller manufacturers throughout the world, which allows HarMan to offer the US market high-quality unique products, such as: Japanese Pearls, Rhinestone Clasps, Jewelry Settings, Rhinestone Settings, Glass Jewels, Plexi Glass Sew On Stones, Wood Beads (including Schowanek brand) and more. We sell to a huge range of industries, including but not limited to: Internet resellers, bead stores, craft stores, Native American craft, clothing designers and manufacturers, couture, jewelry designers and manufacturers, accessories (shoes, handbags, millinery etc. ), nail design, bridal and wedding, skating, competitive dance, ballroom dance, western wear, equine show clothes, bait and tackle, and “blingers” and “crystallizers”. From our backyard in New York City to London, Russia, Nigeria, Singapore, Australia and beyond – we are pleased to partner with customers from around the world. HarMan Importing began in 1948 by Julius Mandel (the grandfather of current CEO Alisa Mandel Nogen). Like many of his contemporaries, he left Germany in the 1930s because of the war, and settled in New York with his wife Susie and son Jack. In 1948 he traveled to Germany for personal business – prior to leaving, a friend, who was a clothing manufacturer, asked him to bring back some rhinestones. His reply was, “What’s a rhinestone?” There was a huge shortage of beads and rhinestones in the US at that time. Both of these items were produced in Czechoslovakia prior to World War II, and neither was made during the war because the factories were either closed or repurposed to make wartime materials. Mr. Mandel returned from his trip with the rhinestones, and after seeing the huge demand continued to make trips to Europe to bring more into the US. In 1956 Julius Mandel’s son, Jack joined HarMan after his service in the military. Over the years Jack grew the business from a small importing company into a multi-million dollar business and a leader in the industry. HarMan started purchasing Swarovski crystals in the 1950’s from Ernest Lowenstein who was the sole distributor of Swarovski crystals in the US at that time. In 1973 Swarovski offered the distributorship to other companies, including HarMan. In 1979 HarMan purchased Lawrence Frankel, a competitor who also was a distributor for Swarovski but also a direct importer of German glass beads and glass beads from Jablonex (now known as Preciosa Ornela). Until 1993, HarMan, along with a retail store, The Bead Center, was located at 16 West 37th Street in the middle of the Garment District in New York City. Catering to designers and manufacturers, HarMan became the go-to company for clothing and jewelry manufacturers in New York and beyond. In 1993, HarMan relocated to a 15,000 square foot warehouse in Farmingdale, NY (a suburb of New York City) because the sheer weight of all the merchandise was too great for the building on 37th Street to hold. Seriously! In 2001, Jack’s daughter, and Julius’s granddaughter Alisa joined the company as CEO. Jack remains as President. Alisa has expanded the company by developing an online e-commerce business and acquiring other companies. In August 2011, HarMan joined forces with Elliot Greene & Co, a longtime specialty bead and trimmings importer catering primarily to the Native American craft industry. HarMan maintains their full inventory and handles all their customer accounts. To read the full press release, click here. In December 2011, HarMan acquired K. Gottfried, a 5 Star Swarovski Authorized Dealer. With these acquisitions, the depth and breadth of HarMan’s inventory has grown dramatically and we now sell to an even more diversified clientele.